Planning permission has been granted by the City of London Corporation’s Planning Committee for ‘1 Undershaft’, a 73-storey skyscraper designed by Eric Parry Architects in London. But what makes the go-ahead for this development more exciting than usual? 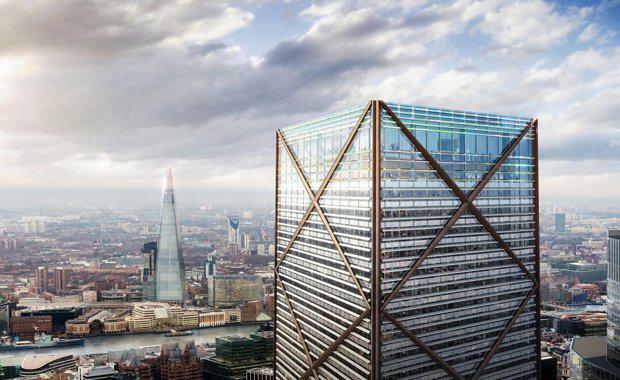 Once complete, 1 Undershaft will become the tallest building in London's financial district. 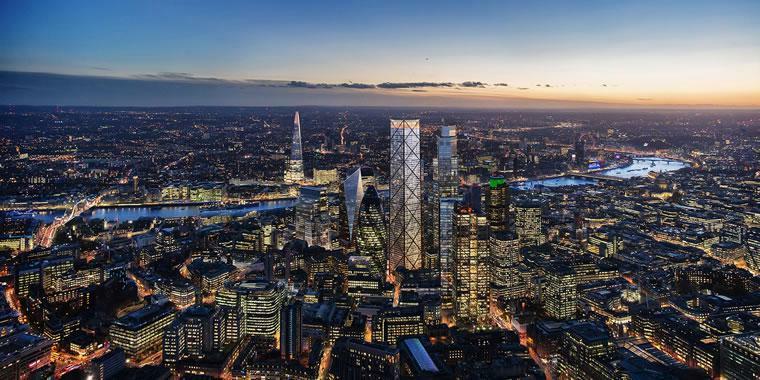 In fact, 1 Undershaft will not only become the City of London’s tallest tower but is also due to become the second tallest building in western Europe. Parry's tower is expected to dwarf existing London towers. 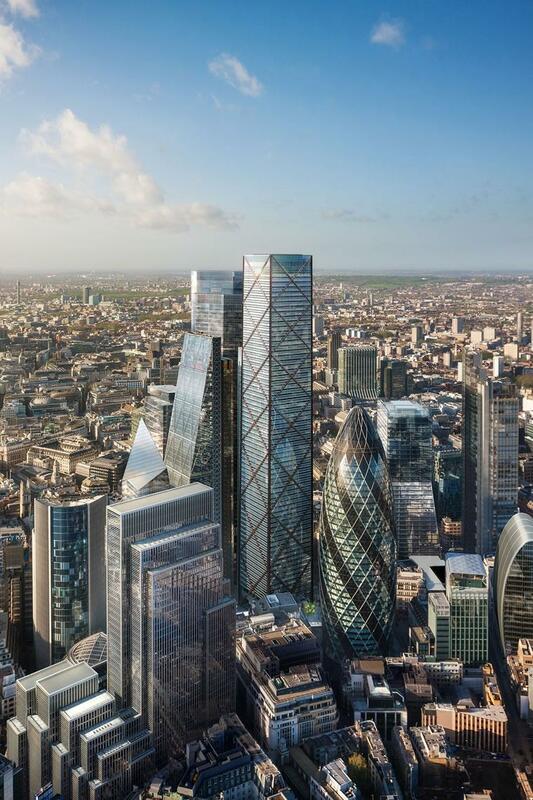 For example, Rogers Stirk Harbour + Partners' Leadenhall building – known as The Cheesegrater – will be approximately 69.6 metres shorter 1 Undershaft. It will also tower 114.6 metres above Foster + Partners' 30 St Mary Axe building – otherwise known as The Gherkin. 1 Undershaft will stand a total of 294.6 metres tall and take an area of 90,000 square metres. It was commissioned by Singapore property developers Aroland Holdings and first unveiled late in 2015. The developers and others involved have also come to refer to the tower as ‘The Trellis’, because of its distinctive crossbrace-patterned facades. The glazed walls of the rectilinear block will be patterned by diagonal bronze struts and accessed by a pair of crisscrossing escalators. The building's developers, not to mention Parry, have high hopes for the project, but it has reportedly suffered some criticism. Commentators have said the tower is only one of many new skyscrapers that are being squashed together after being modelled on "maximum return on minimum investment", resulting in a lack of adequate public space for local residents. London’s residents are also calling for height caps and no-build zones in fear of what the city’s ‘tallest tower’ will mean for the skyline and flight paths. Other criticism, according to The Guardian, is centred around its design and how its plain, rectilinear shape fails to match the surrounding towers. However, the critics have not deterred Parry or his vision. He says its design was an intentional move to contrast the other towers. “I wanted to design something calm,” he said. 1 Undershaft will create over 130,000 square metres of quality Grade A office space, responding to market dynamics and continued occupier demand in the City. 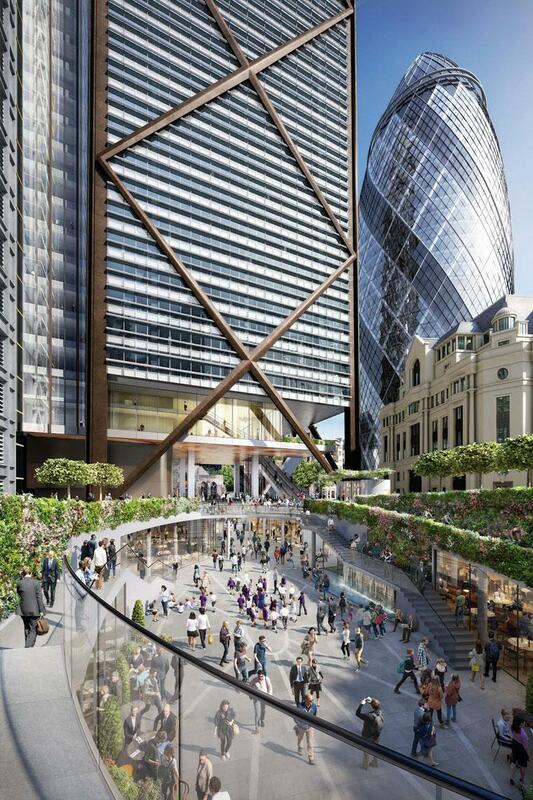 At the base of 1 Undershaft, a new larger public square will be created. The building comprises an elevated reception, meaning that the public will be able to walk freely beneath the building. There will also be a new retail gallery, which will create 1,800 square metres of retail space for restaurants, cafes and shops around an open lower court, accessed from the public square. The free public viewing gallery will be accompanied by an education centre with two classrooms for school parties to learn more about the capital, its growth and its history. Aroland Holdings and the Museum of London are reportedly working together to explore the creation of a new education facility to support the Museum’s charitable aims at the very top of the tower. The public elements of this skyscraper building will mean it is in use seven days a week, which is typically considered unusual for a London Square Mile tower. The tower would replace the St Helen’s tower and will join a raft of a new skyscrapers planned for the capital, including an as-yet unnamed tower at Canary Wharf and the Morello Tower in Croydon. Images courtesy Eric Parry Architects.